The very successful Hampton 620 Pilothouse Motoryacht series continues to set the standards for build quality, interior spaciousness and overall Customer satisfaction. We are sold through hull 26. The Hampton 620 Pilothouse Motoryacht is the “Perfect Cruising Yacht”for cold or warm weather climates with features like its covered side and aft decks which offer protection from the rain in inclement weather and UV protection in warm weather. The recessed side decks which provide safe access to and from the foredeck and the dual transom access stairs and aft port & starboard side boarding gates which make getting aboard the 620 very easy. Also the dual aft deck helm stations with thruster &engine controls make backing into your slip a lot simpler. From concept to completion the Hampton 620 was designed to be a Safe, Comfortable and Easy yacht for a couple to operate. The main salon & lower deck arrangements are spacious and designed to offer the utmost in comfort and luxurious accommodations. The main salon and the pilothouse were designed with an open galley concept that allows the helmsmen to have visibility from the pilothouse helm through to the aft deck. The interior spaces are finished inthe clients choice of either a satin or gloss handcrafted Makore cherry with Corian, Granite or Marble countertops. Each new Hampton 620 is offered withacustom interior by Pacific Custom Interiors of Seattle, WA and istailored to the lifestyle's of our discerning clients. Queen island bed, in locker w/storage drawers and a dressing mirror, settee, vanity and a large owners bath. 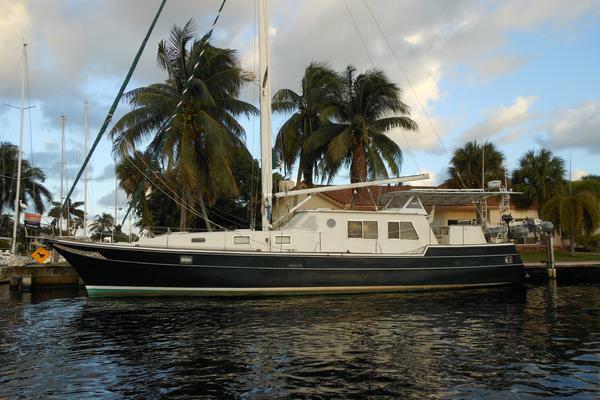 Side-by-side berths, entertainment equipment, air & diesel heat and a guest head with shower. Island queen bed, entertainment equipment, dual hanging lockers, cabinet & drawer storage and ensuite access to the guest head. SidePower bow & stern thruster controls at each of the vessels four (4) helm stations. United Yacht Sales New Jersey would love to guide you through a personal showing of this 62' Hampton Pilothouse 2018. 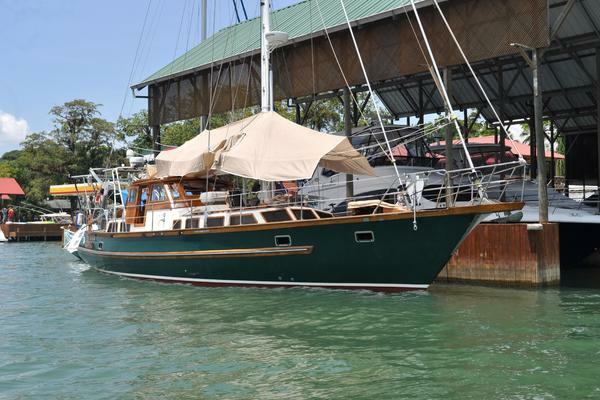 This yacht for sale is located in Seattle, for Order, Washington. For pricing details or a showing please contact us by filling out the form on this page and we will get back to you shortly! Complete Garmin 8000 series navigational package that includes radar, chart plotter, GPS, autopilot, AIS, Depth sounders I-Com VHF radios. Lazarette; the Lazarette offers stand-up headroom and like the rest of the yacht was designed to be spacious and offer easy access to the ships machinery and great storage. Both the lazarette & engine room areas can be accessed two ways; from either the watertight “aircraft style” transom door or the access hatch located on the aft deck.The lazarette houses the dual Glendinning cablemaster systems, Charles IsoBoost transformers, Hydronic diesel heating system, Magnasine 4kw inverter andBattery chargers. 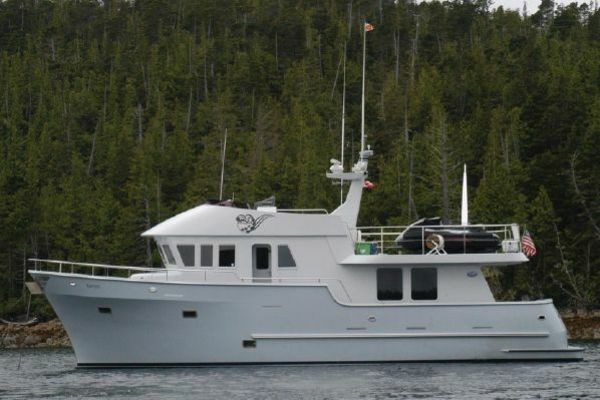 Features include finished side walls and cabinets, LED task lighting, watertight transom door, non-skid decking, AC duplex and door with viewing window for the engine room. The H620 has proven to be another very successful pilothouse from Hampton Yachts. It has garnered the attention of clients whom have admired the company’s pilothouse cruiser series, but found the 680 & 740 a bit more yacht than they needed wanted a little more room that our 580 model. The H620 with all its great features such as the covered side & aft decks, the “Full-Beam Owner’s suite” and the spectacular open salon & pilothouse arrangement combine to make the Hampton 620 a great destination place where family and friends can join together for some great cruising and relaxation.“Experience the Difference a Hampton Yacht Can Make in Your Life”.